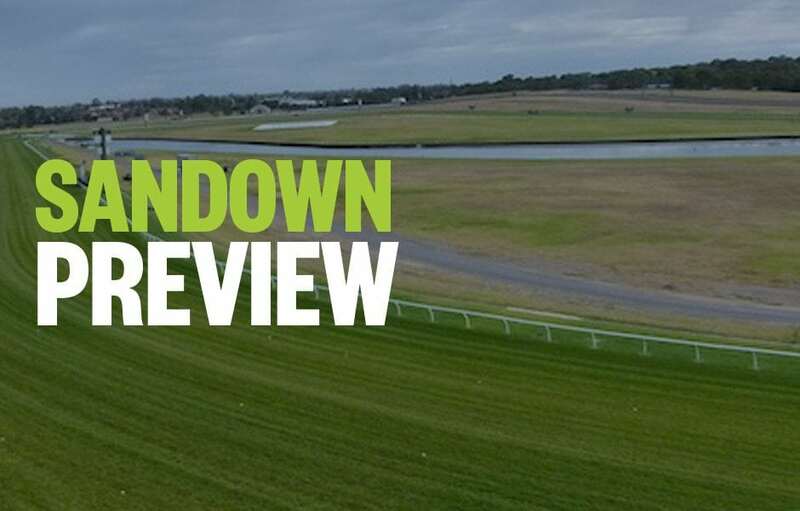 Form student, RIC CHAPMAN, previews Wednesday’s Sandown meeting, with horse racing tips and analysis for all eight races on the card. It’s a twilight meeting this week. Good luck, punters! Fascinating race. DUNLANI won so impressively last start that it’s forced an avalanche of bets overnight. Has firmed from $2.30 to $1.90 and the money continues to roll in. Respect that. PELONOMENA is also a last start winner, in fact, has won 2 of past 3 and has been specked also. Maybe take that exacta. No-one knows who can win this – even the bookies have an open $4.00 the field market. There has been good, and noticeable backing for the first starter FRIVOLOSOPHY for Team Hawkes, though. Has drawn the fence and is by Tavistock so should be able to run. HAVASHOUT and CHAP’S DREAM were runners-up at their past starts and that’s good for this race. There is no trial form to go off, but the pedigree and the fact he’s a Godolphin juvenile means CHENIER must be strongly looked at. BEAUTROOPER was thrashed on debut but it was much better grade. Should improve a great deal in this. WALK FREE has had 2 starts and showed last start this grade when hitting the line hard from well back to grab 3rd, that this trip will suit…a lot! SEE ME EXCEED resumes in this and does have an impressive record while fresh. Wasn’t far away at Gr 2 level last campaign and this looks an easy kill. Big show. RITORNO won an easier race last start and gets 3kg claim here so rates a show, while High Ratio, a stablemate of See Me Exceed, is 3rd up and ready to run a blinder. Back in November SAVVY OAK made up many lengths over the final 200m to grab 7th in the Gr 1 VRC Derby. One run since a spell was this grade and trip at Pakenham and did the same, flashing late to fail by a head. Fitter now and should dash at these late also. Sure to show up. GRINZINGER STAR is resuming but had decent form this level when last in work and FEATHER is 3rd up here after two impressive runs. Looks the trifecta. Lottery. This STOCKTARA might be pretty handy. Is bred to stay and at just 2nd start in a race, last run, he jumped straight on the bunny and led all way to narrowly win 1400m mdn. Harder grade here but is obviously talented enough. KASHIWA did win 3 runs back but is about as reliable as the weather. Drawn well so have in your numbers. JAZZ STAR is a two-time winner from just 4 starts so that rates a mention here. Gets a 3kg claim to help too. INDIAN THUNDER has been up a long while but loves this grade and does receive a nice, handy 2kg weight allowance. Scored this class 3 starts back. WON BALL has the rails draw and is 3rd up. They are huge bits of help and also gets a 2kg claim. Trifecta of advantages. ANDAZ resumes here and has first up form, so watch market moves. looks well placed on best runs. Interesting race to end the day on. I REMEMBER YOU is a strong Tassie mare who hits the line hard. We’ve seen how good Tasmanian horses are of late and that means this mare, who was Gr 3 placed last start, looms very large. CHARLAYNE drops in class here following an eye-catching 4th at Flemington last start where she hit the line hard. Has been well backed overnight too. TYSONIC resumes here but has talent and could place.